Sendai, Japan – While world leaders gathered in Sendai four years after the Great East Asia Earthquake, Category-5 Cyclone Pam hit the South Pacific island nation, Vanuatu. The storm strength was likened to Typhoon Haiyan (Local Name: Yolanda), which devastated provinces in the Visayas, Philippines in 2013. Vanuatu President Baldwin Lonsdale, who was stranded in the conference, asked for help from the international community, and blamed climate change as the cause of these super typhoons. “This is a major calamity for our country. Every year we lose 6% of our GDP to disasters. This cyclone is a huge setback for the country’s development. It will have severe impacts for all sectors of economic activity including tourism, agriculture and manufacturing. The country is already threatened by coastal erosion and rising sea levels in addition to five active volcanos and earthquakes. This is why I am attending this Conference and why Vanuatu wants to see a strong new framework on disaster risk reduction which will support us in tackling the drivers of disaster risk such as climate change,” President Lonsdale said. Broadcast journalists also gathered at the ABU (Asia-Pacific Broadcasting Union) Global News Forum hosted by Japan’s largest broadcasting organization, NHK, one of the parallel forums at the conference. Key topics discussed were Preparing for a Mega- Disaster, Better tools, Better Broadcasting- Advances in Emergency Reporting, and Doing it with Digital- Improving Access to Crucial Information. Natalia Ilieva of the ABU presented media’s role in Disaster Risk Reduction, the pro-active media model. She shared that one of the biggest challenges was addressing the quiet time between disasters, which should be used to build safe and resilient society. Media could function as key communicators in creating communication programs before a disaster struck. Stephanie Hannon, Director of Product Management for Social Impact of the Internet Company, Google, shared the various tools of their company, such as Google Finder and Maps that have helped people in times of disasters. Google also invited media and institutions to use their open platforms. Tomoe Makino, Director of Media of social media company, Twitter, in Japan also discussed how Twitter was used in the country during the 2011 earthquake, citing there were 5,530 tweets per second during that time. Representing the Philippines was Civil Defense Administrator USEC Alexander Pama, who showcased Disaster Risk Reduction Management efforts such as hazard mapping and risk assessment among schools and communities. He added that conducting information and education campaigns, hazard drills and simulation exercises also strengthened Disaster Preparedness. Thanks to social media, more Filipinos had access to real-time information. “Early warning means a less affected population,” Pama said. He proudly reported that Filipinos had learned from Typhoon Yolanda in November 2013. One significant proof was the zero casualties in December 2014 when Typhoon Ruby traversed almost the same path as Yolanda. The state’s Social Welfare and Development Secretary Dinky Soliman led the Philippine contingents, which comprised of government officials, legislators, and leaders of civil society groups. The effect of the increasing frequency and intensity of natural hazards was also discussed, especially in developing countries such as the Philippines. They agreed that resilience against disasters was built on, not only a global framework for DRR, but also real prevention of the loss of lives, as well as environmental, social and economic assets. Other members of the Philippine delegation include Secretary Arsenio Balisacan with Deputy Directors General Margarita Songco and Emmanuel Esguerra of the National Economic and Development Agency (NEDA), Secretary Rogelio Singson and Undersecretary Rafael Yabut of the Department of Public Works and Highways, Environment and Natural Resources Undersecretary Ernesto Adobo, Undersecretary Lesley Cordero of the Office of the Presidential Adviser on Recovery and Rehabilitation, Finance Undersecretary Gil Beltran, National Treasurer Robert Tan and Congressmen Rufus Rodrigues and Mel Senen Sarmiento of the House of Representatives. On behalf of President Benigno Aquino III, United Nations International Strategy for Disaster Reduction Change Adaptation (CCA) for Asia-Pacific, Senator Loren Legarda, delivered the country’s official statement in the world conference. “The Philippine Statement is a declaration of our commitment to disaster risk reduction. We share with the world how amid our vulnerability, the Philippines has been undertaking serious efforts to building resilience by adhering to the five priority action plans of the Hyogo Framework for Action (HFA). As nations chart a new course for the sustainable and resilient future of a climate change-altered planet, typhoon-battered Philippines will take a proactive role,” said Legarda. Legarda together with her fellow champions also had a special meeting with United Nations Secretary General Ban Ki-moon inspiring them to lead and initiate awareness on DRR and CCA in their own countries. According to the senator, the DRR champions’ special meeting with the UN Secretary-General could also lead to an annual activity. Today, PHIVOLCS Director Renato Solidum will be sharing his expertise at the 2015 International Workshop on Earthquake and Volcanic Hazards and Risks in the Asia Pacific Region, which aims establish an extensive exchange of ideas on seismic and volcanic eruptions that will develop international standards on data compilation and risk assessment. Solidum will be discussing quake and volcanic risk assessment efforts in the Philippines. Indonesia, China, Taiwan, Italy, New Zealand and Japan will also be presenting, along with United Nations Educational, Scientific and Cultural Organization (UNESCO) and Center for Volcanology and Geological Hazard Mitigation (CVGHM), among others. George is part of the pioneering team of Panahon TV and is a homegrown talent of UBE Media. 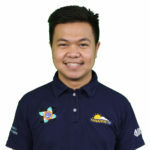 He holds a master’s degree in crisis and disaster risk management from the Philippine Public Safety College where he ranked second in a class of 36. He was recognized by the Universal Peace Federation as a Youth Ambassador for Peace in 2018. The United Nations accredited him to cover and participate in the third World Conference on Disaster Risk Reduction (WCDRR) and the Asia-Pacific Broadcasting Union’s Global News Forum 2015 in Sendai, Japan. He wrote the scripts for Project DINA (Disaster Information for Nationwide Awareness), a flagship project of the government that teaches the public what to do before, during and after hazards through audio-visual presentations distributed to local government units in 2013. Aside from climate change and disaster preparedness stories that received various awards, George also produces segments on sports and public service announcements. George loves to travel. He is also part of BookSail, a passion project of his friends, that brings books and school supplies to students in the country’s secluded islands.